Congratulations to the winners of the last contest. Caitlin M. from Hawthorne, CA will receive A Treacherous Curse. The Word is Murder will go to Laura R. of Kiel, WI. Just a note up front that this week's contest will be a day shorter. It needs to end on Wednesday, Feb. 6 at 5 PM CT instead of Thursday night. This week, I'm giving away mysteries set in the Far East. 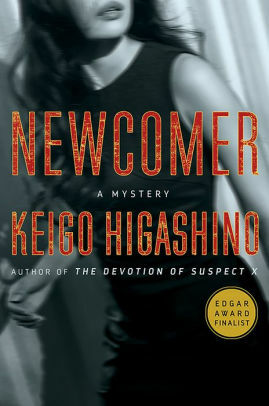 Newcomer is Keigo Higashino's latest book set in Japan. Detective Kyochiro Kaga has just been transferred to a new precinct in Tokyo. He might be new to the district, but he has a great deal of experience, so he's assigned to the team investigating the baffling murder of a woman. It seems almost everyone in the neighborhood has a secret. To prevent the murderer from eluding justice, Kaga must unravel the secrets of the woman's life, as well as the secrets in his new precinct. 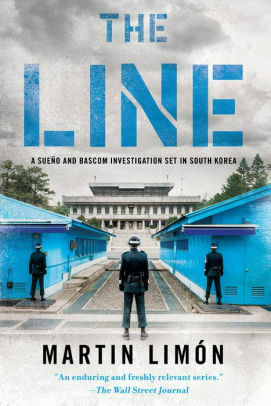 If you prefer, you can travel to North and South Korea in the 1970s with Martin Limon's Sueno and Bascom in The Line. A battered corpse is found a few feet north of the line dividing North and South Korea. On orders from their superiors, the two Army CID Agents pull the body to the South Korean side. They have no idea of the international conflict that small action will spark. The murderer could be someone from either side of the DMZ. Sueno and Bascom are pulled off the case, but they disobey orders to discover the truth. Which book do you want to win? You can enter to win both, but I need separate entries. Email me at Lesa.Holstine@gmail.com. Your subject line should read either "Win Newcomer" or "Win The Line." Please include your name and mailing address. As I said, this giveaway ends Wednesday, February 6 at 5 PM CT. Entries from the U.S. only, please.